In my previous post I noted how some Labour MPs were falsely claiming that the Boundary Commission’s recommendations for England and Wales were party-political gerrymandering. Labour Party Leader, the Rt Hon Jeremy Corbyn MP makes a quite different claim to some of his more desperate MPs. Actually it is possible for it to be fair and democratic if the growth in the electorate is evenly spread across the country. That should be a default position that Corbyn needs to disprove. 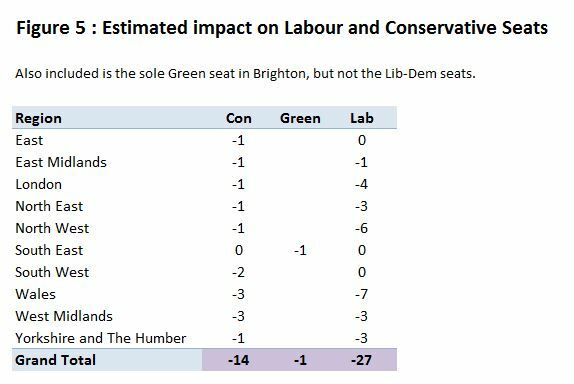 The question is, how much would the imbalance have to be to wipe out the disadvantage Labour gets from the boundary review – a disadvantage due to current 231 Labour seats in England and Wales having on average 3515 fewer constituents than the 329 Conservative seats in May 2015. Let us do the maths, ignoring the 13 seats held by other parties and the Speaker. 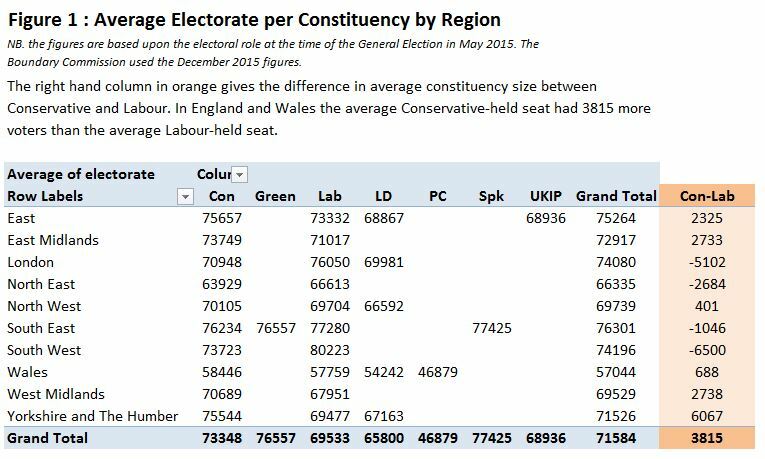 To even up average constituency size Labour constituencies would need about 812,000 extra voters (231 x 3515), and for the rest of the two million to be evenly spread between the other 560 constituencies. That is about 2120 extra voters. 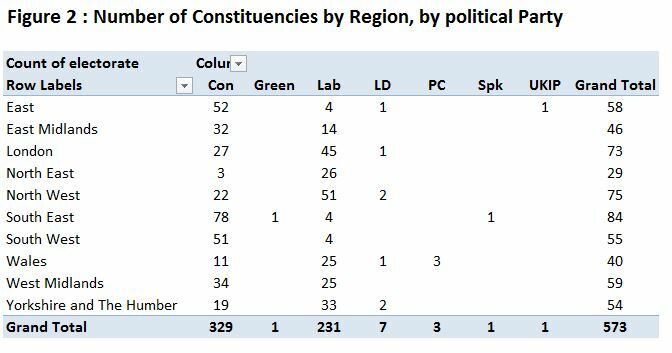 It is not impossible that the average Labour constituency has added 5635 to the electoral roll (>8% extra) and the average Conservative constituency has added 2120 to the electoral roll (<3% extra). Winning the millions on Lotto is not impossible either. 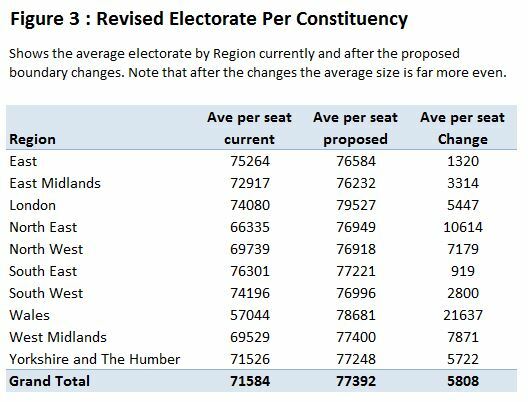 But both are highly unlikely, as the reason for the Boundary Review is that Constituency sizes have diverged, with greater growth in the South of England than in the North of England and Wales. So like other Labour MPs, Jeremy Corbyns’ opposition to the Boundary Commission’s proposals seem to be opposition to greater equality and fairness in the British democratic processes. Two graphs to illustrate this point. Figure 1 from the previous post shows the average constituency size by party and region. 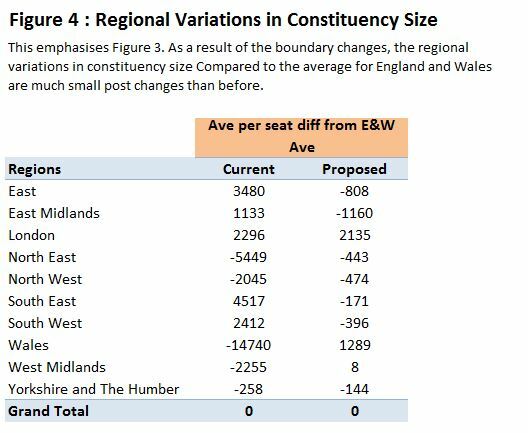 Figure 4 from the previous post shows that average constituency size per region is made much closer to the average constituency size for England and Wales in the proposed changes. Naturally, people want to know what Brexit will mean. Simply, it means the UK leaving the European Union. We will decide on our borders, our laws, and taxpayers’ money. It means getting the best deal for Britain – one that is unique to Britain and not an ‘off the shelf’ solution. This must mean controls on the numbers of people who come to Britain from Europe – but also a positive outcome for those who wish to trade in goods and services. He went on to lay out the principles on which Britain would proceed. …as we proceed, we will be guided by some clear principles. First, as I said, we wish to build a national consensus around our position. Second, while always putting the national interest first, we will always act in good faith towards our European partners. Third, wherever possible we will try to minimise any uncertainty that change can inevitably bring. And, fourth, crucially, we will – by the end of this process – have left the European Union, and put the sovereignty and supremacy of this Parliament beyond doubt. On other words Britain will Brexit is in a very British fashion. – It will be from principles, not from specific objectives or adhering to specific rules. – Britain will act honourably, something that the British have long been known for commercial dealings. – It will recognize that other EU members have interests as well. The outcome being aimed for is where Britain’s relationship to the EU is based on co-operation and trade where both sides are net winners. – At the end of the process Britain will have a more sovereign Parliament. That is, the democratically elected Government will be able to decide the future course of country, for better or worse. – Strategy consists of clearly laid out and concrete plan. – There are areas of policy that should placed outside of the scope of a sovereign Parliament, such “workers rights” and guarantees for EU Nationals currently resident in the UK. – A “positive vision” consists of definite objectives. – You listen to outside gloomy prophesies that support your perspective. – The Government are now rushing to start negotiation, without a well-thought plan. Given that the Government is delaying triggering Article 50 until 2017, the means she is wanting a slower pace. But on 24th June when the referendum result was announced, Labour Leader Jeremy Corbyn was all for triggering Article 50 straight away. Is this another open split with the Labour Leader, or an about-face in Labour policy? – Article 50 should not be triggered without a parliamentary vote to authorize. On triggering Article 50 David Davies pointed out 20.35 there was a referendum bill that went through the House of Commons, and was voted for 6 to 1. Emily Thornberry voted in favour. It was made perfectly clear by the then Foreign Secretary at the time that the EU referendum was not a consultation, or an advice to parliament, but a decision by the electorate. The words of the Act do not state that, but people were lead to believe that in the campaign. Most importantly Will Straw, leader of Britain Stronger in Europe (the official Remain campaign) said the decision was for the voters. 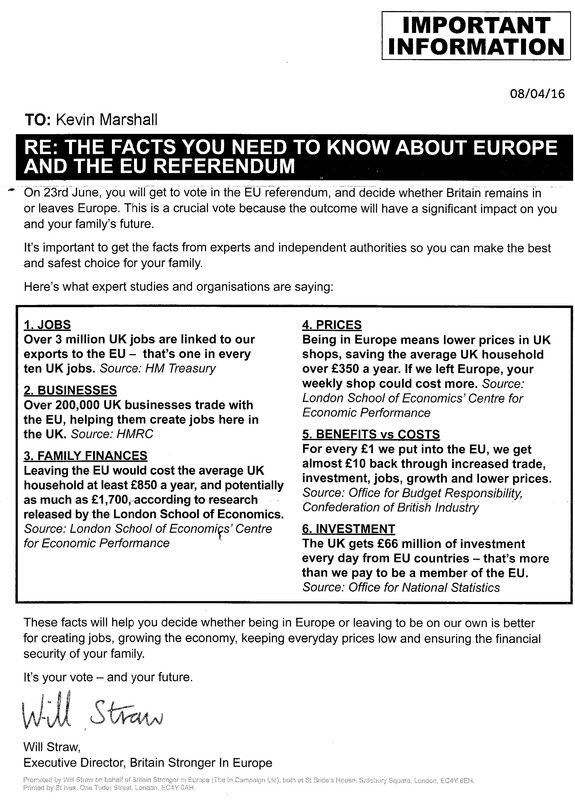 On 23rd June you will get to vote on the EU Referendum and decide whether Britain remains in or leaves Europe. Apart from the inaccuracy of naming the decision as whether to leave the geographical continent rather than the political organisation, the statement could not be clearer. Yet the losers in the Referendum want to re-interpret the meaning of the result.